Moriah has been working in Atlanta theatre with her design partner and twin sister Isabel for the past few years. Their scenic and costume designs have been seen on many Atlanta stages including Horizon theatre, Theatre in the Square, Aurora Theatre, Actor’s Express, Kenny Leon’s True Colors Theatre and, of course, Theatrical Outfit. They received the 2011 Suzi Bass Award for Outstanding Scenic Design of a Musical for Avenue Q at Horizon Theatre as well as the 2011 Suzi Bass Award for Outstanding Costume Design of a Musical for The Mikado at Atlanta Lyric Theatre. In addition to Atlanta theatre work, their designs have been seen on stages throughout the country, including many in New Orleans, Boston, New York and Maine. 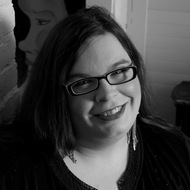 Moriah earned her MFA in Theatrical Design from Brandeis University and BA from NYU.